Sloclap's big new update for their online melee brawler includes a new game mode, the new Faejin combat style, and School Challenges. Hello Prospects and Absolvers! The team at Sloclap has been unusually quiet these last few months but that’s all due to the work on Absolver: Downfall – the new, free expansion for Absolver which we’re happy to announce will be coming on September 25. 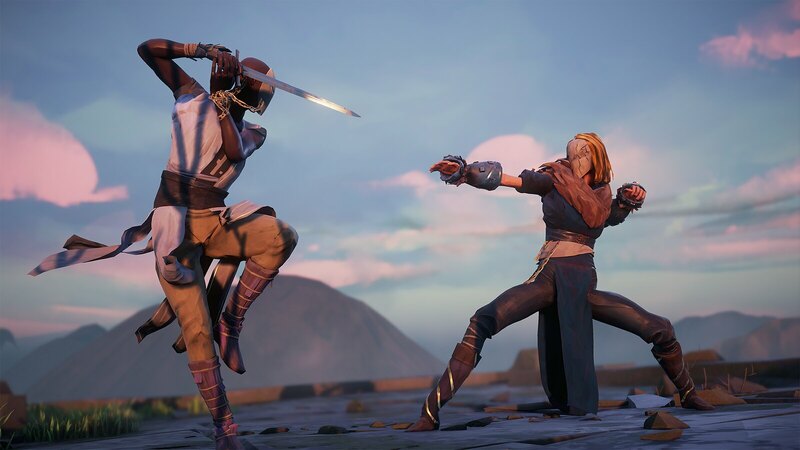 The expansion is rather robust with something for both the PvE and PvP players in our community that might have been playing from the start last year or just started their journey to absolution last month when Absolver was featured as a PS Plus title. 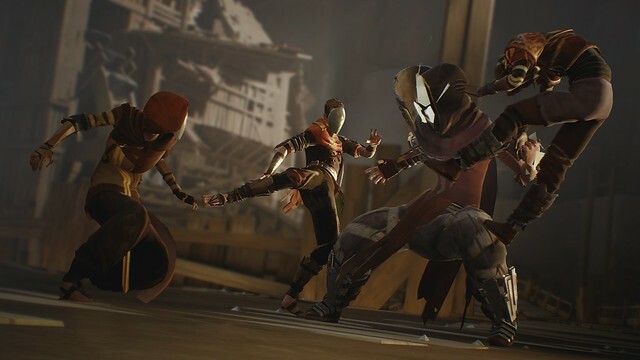 The most prominent new element in Absolver: Downfall is the new Downfall game mode that takes players in solo or cooperative runs down the Adalian Mines, on a quest to battle Arcell and his corrupted Prospects. Players will collect Gleam from infected Prospects and transform it into rewards in the form of experience and gear. The more Gleam you capture, the more powerful you become in your struggle to defeat the Corrupted, and eventually Arcell himself. Each run through the Mines and Temples is a unique path through a variety of challenges and situations, facing upgraded enemies with improved AI, and three epic boss fights. The other headline piece of the expansion is the Faejin combat style, taking its inspiration from Bruce Lee’s famous Jeet Kune Do. 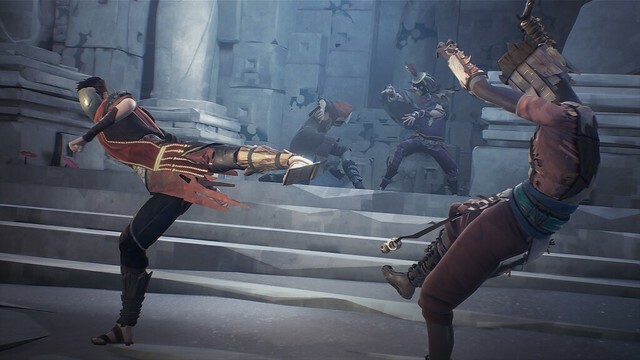 This new combat style is more complex than others and experienced Absolvers will need to balance the fluidly powered offense with different defensive abilities that shift with your stance. Faejin will feature three dozen different attacks for bare hands, wargloves, and sword combat. 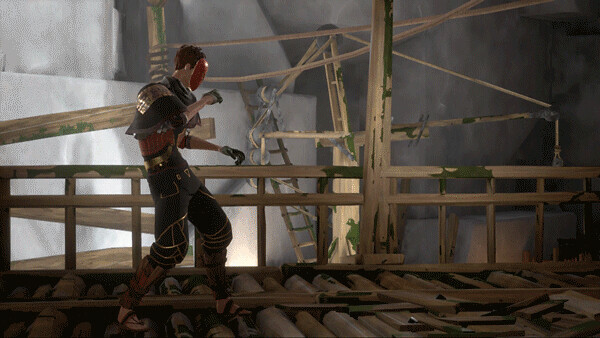 Absolver: Downfall rounds out the expansion content with the introduction of School Challenges. School Challenges will include reworked School Leaderboards, which will allow School members to compete with each other through rankings updated at the end of each Season, and up to three specific reward for each ranking category! The expansion will also feature new equipment sets, as well as two prestige variants of existing sets, all found in the Essence Shop and unlockable with Gleam and Fragments, both of which will be looted in the Downfall game mode. Fantastic new masks, weapons, emotes and PvP intros can all be found in the new expansion when it hits on September 25! PvE content is exactly what the game needed. I can’t wait to check it out! This sounds like the first real DLC content. I can’t wait to check it out. I can’t wait on two more days I’m going to play the h### out of this update, I am really curious about the new fighting style it sounds so interesting. I am wondering on how you get this fighting style? If there’s any information on how to get please let me know. Hopefully the improved AI is that its not god like on how the forsaken enemys Parry every attack you make.